And a few more washi tape cards for the Paper Crafts Gallery Idol Challenge. The first is a fun father's day card. The suspenders are made of washi tape and the bow tie cutting file is from the latest Pazzles Craft Room project. 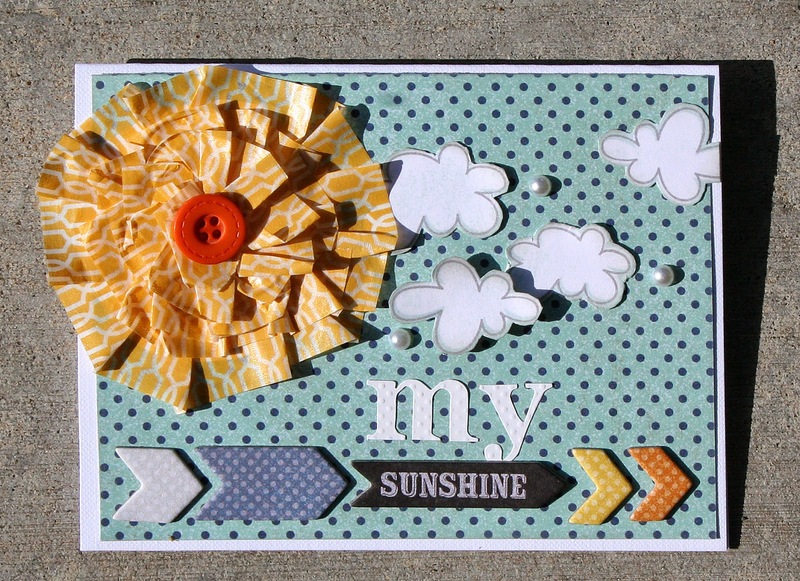 The second card is a sunshine made of washi tape. I simply cut out a circle and then ruffled washi tape in layers around the circle. I had an entire 12 x 12 sheet of that cloud paper and I have literally only scraps left. I've cut so many of those little clouds out by hand, but I just love them! Hope you are all having a great week and have big fun plans for the weekend! Cute cards ! Love the washi flower ! Love the suspenders. Super cute! Cute cards, good luck with being chosen. These are so cute and clever! Thank you for the nice comments ladies! OMgosh...love the suspenders! So cute! 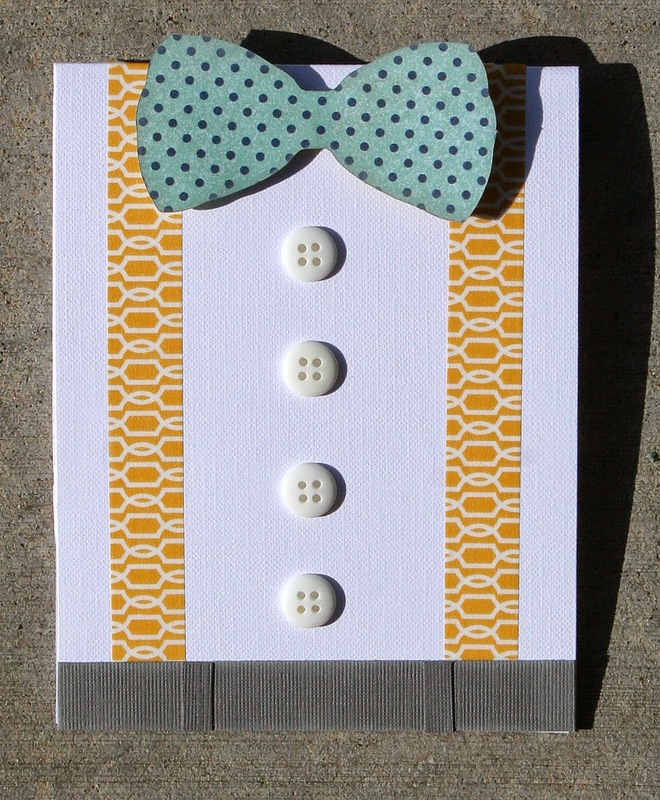 Love the bow tie card the fun way you have used washi tape for the braces. love the suspenders card!! great idea.